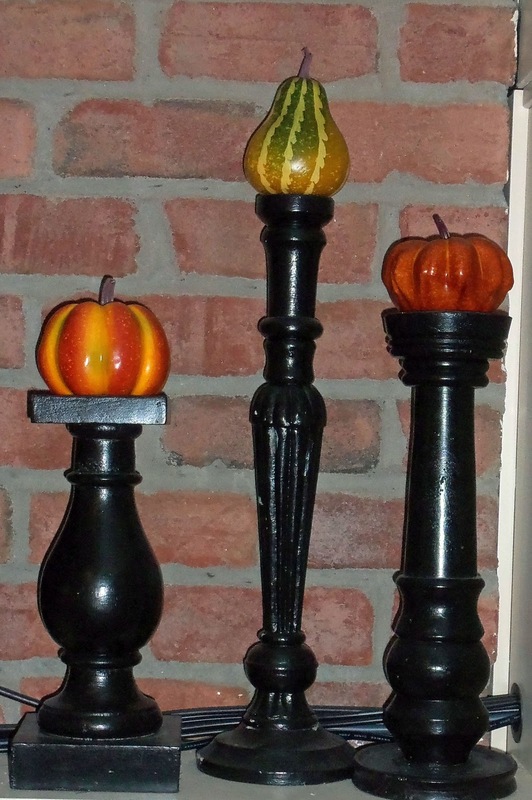 ﻿I found this Blessings Unlimited Candlestick Set while flipping through their online catalog and knew instantly that I needed to transform my current trio of black wooden candlesticks. To achieve the vintage distressed finish, I first sanded the black finish and applied the two coats of gold metallic paint. I then chose a cream color and a light blue paint from my leftover paint shelf to apply to the bases to replicate the painted finish on the three candlesticks. Next, I sanded through the top coats to expose the gold finish and finally applied Howard Citrus-Sheild Premium Paste Wax in Golden Oak. It buffs so easily to a brilliant, long-lasting shine. It has become my favorite 'go-to' wax. 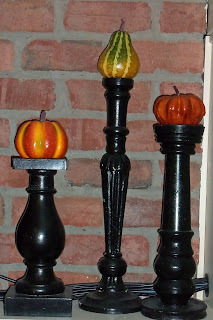 Although I did not include scripture on my candlestick bases, I am thrilled with the outcome. 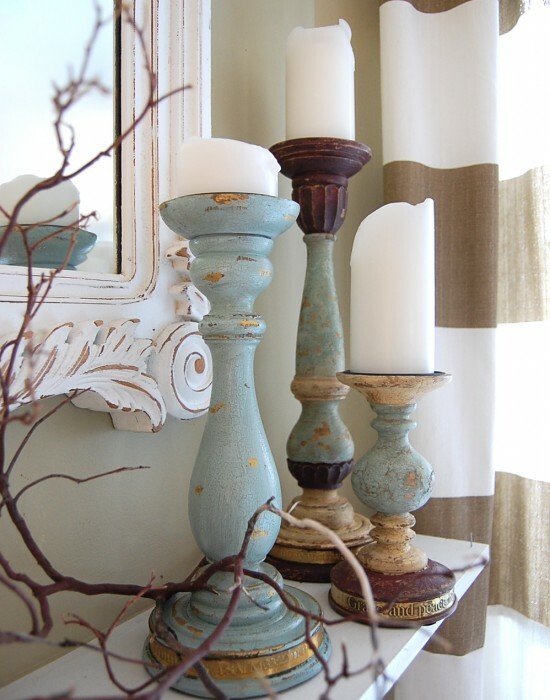 My newly completed candlesticks sit proudly in my bookcase and I'm loving the newly distressed colors and finish. They are beautiful. Great job. Better than the ones in the catalog. Thanks so much for sharing your beautiful candlesticks at my NIFTY THRIFTY TUESDAY party, but please be sure to list my party with a link on your post so all your friends can join you too. Oh my gosh, yours came out so great! I love the upgrade and such a great knock off. I bet Knock Off Decor would love to see them! Happy New Year! They look fantastic now instead of the black! I lean toward shabby chic anyway. I also love the Blessings Unlimited candle set. 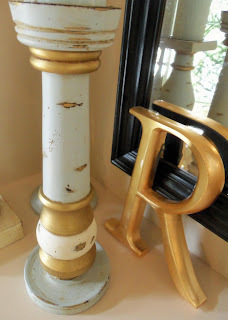 Love the candlestick makeover...you make it sound so simple..maybe even I can do it and make it look good? You did an awesome job on the candlesticks. Looks amazing. Thanks for becoming a follower...I have been a follower of your blog for a while now. :) I enjoy your blog very much. 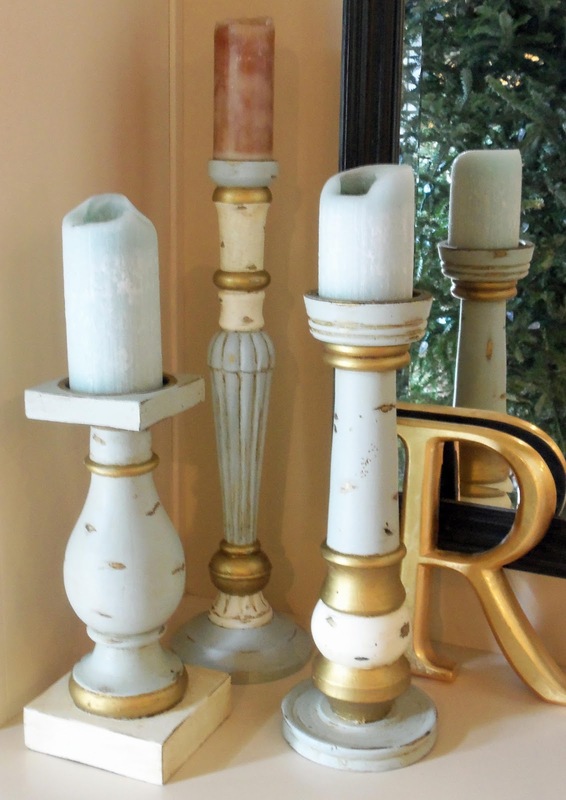 Stopping by from The Shady Porch; your candlesticks look great and just as good as the brand new ones! I love the candlesticks! Beautiful! LOVE LOVE LOVE it! I would love to have these sitting on my piano. Thanks for the post and great pictures. They look great! I'm a new follower. What an amazing difference. 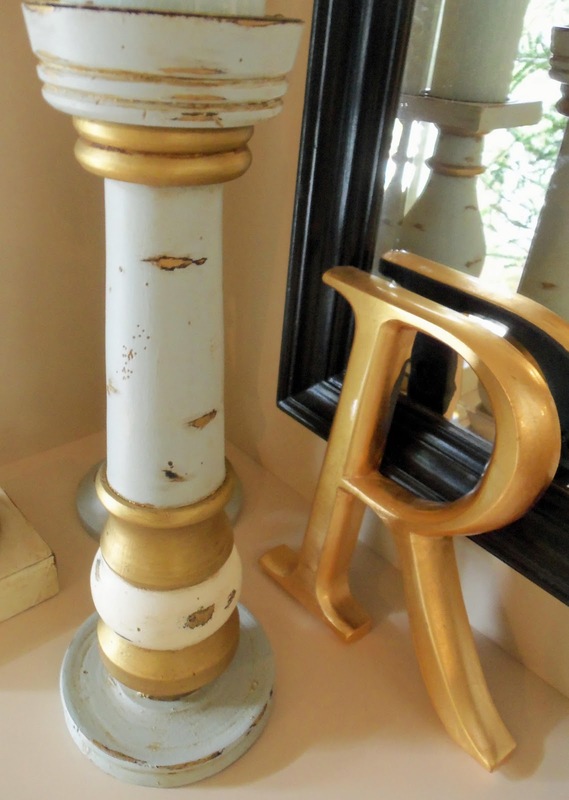 I love the blue and gold distressing you did. The look great! I love these, mmm, so fantastic! Thanks for sharing! Those are fabulous! They look nearly identical! Great job! I would love for you to be a part of Find Your craft Friday! We would love to have you! 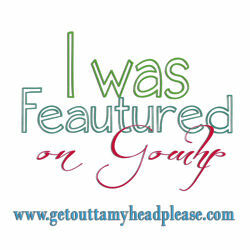 Following you @ GFC and Networked Blogs via Freestyle Friday. Candlesticks have been on my thrift store find list for a long time now! You should join me in "Handmade 52" this year! You did a fabulous job! Thank you for sharing this! Happy New Year! Gorgeous makeovers, Larrisa! They look terrific! 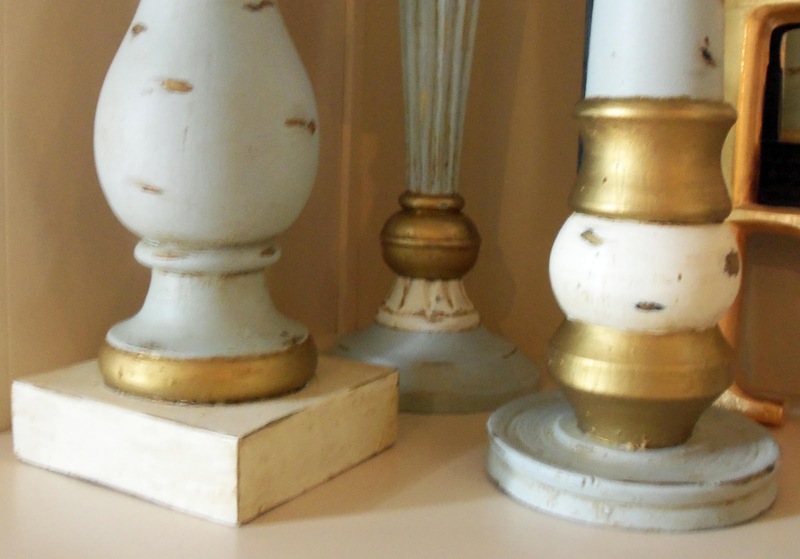 I'm not usually a "gold" person, but your candlesticks turned out great! thanks for linking up and linking back to catch as catch can. STUNNING makeover. WOW. Just love them! Are lovely, thank you for sharing. Julia C.
Grogeous! I love to see such a great upcycle. They look great made over! Thank you for linking it to Home Sweet Home! I love these so much! They are too cute. The different colors appeal to me so much! I love the touches of gold! And I must try that wax! Love it! Where can I get those beautiful curtains!. Just the inspiration I need. Thank you.